Warsaw, 1940. A man is rounded up in the street by the occupying German forces. 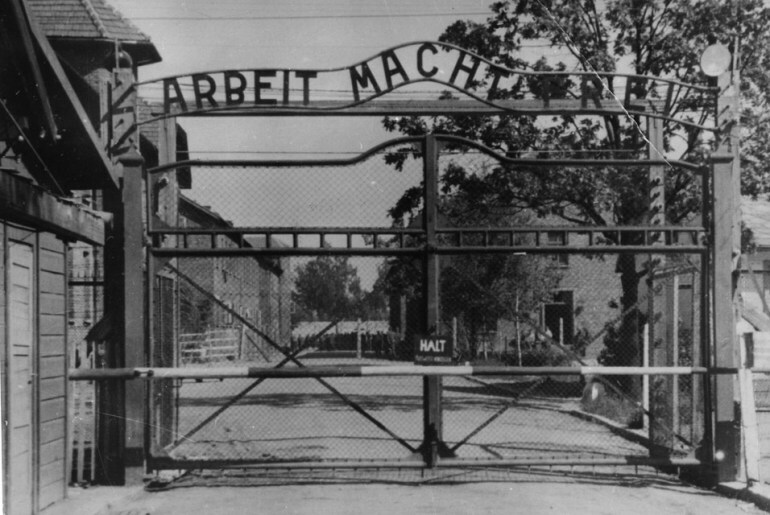 He is beaten and imprisoned, then sent to Auschwitz – a place now synonymous with death and terror. For most, this was something to be avoided at all costs. But for this particular man, this was all in a day's work, and his incarceration in the notorious death camp was all part of the plan. Meet Witold Pilecki – the man who volunteered for Auschwitz. Witold Pilecki’s story tells the history of the entire generation of Poles born at the very beginning of the 20th century. Those who had survived three wars (two world wars and the Polish-Soviet War in 1919-1921), at the age of forty-something, had to learn how to live under a communist power imposed and supervised by the Soviet Union, and watch the revolution literally turning the world on its head. Former noblemen became the least respected members of society, heroes became villains and suspects, villains became heroes and the long-time enemy Russia became a beloved friend and protector. Private property was gone, intimacy was gone, and everything became stated-owned and state-controlled. The only prosperous and happy time (the interwar period) started to be referred to as a time of moral decay, fascism and corruption. 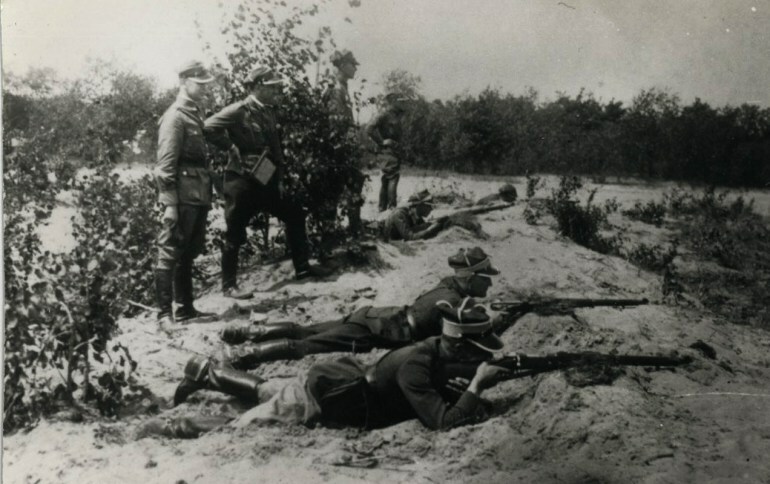 These were atrocious circumstances for those who had devoted their lives to fighting for independent Poland, thus for the whole generation of people born to noble families and raised in a patriotic way. This tragedy is best told by the life story of Witold Pilecki. 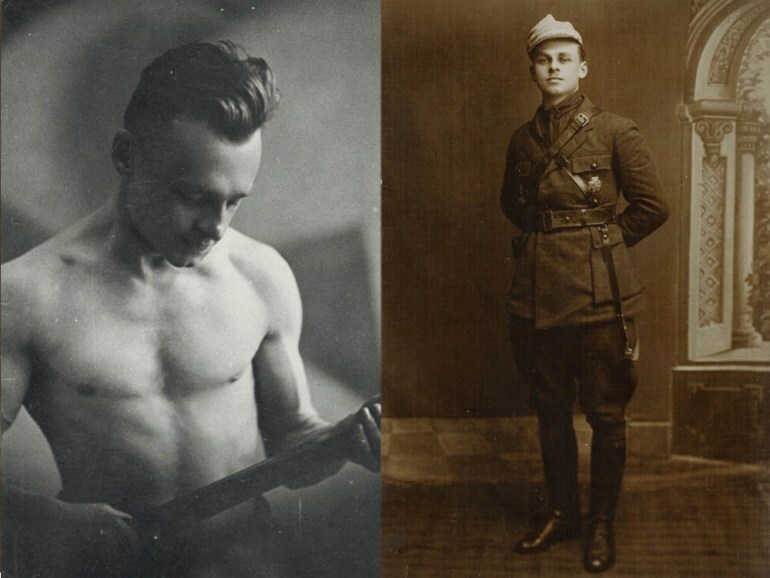 Culture.pl offers you two ways of discovering Witold Pilecki's life story. If you prefer to explore it in details and learn about the details of his intelligence mission in Auschwitz, continue reading this text. If you are looking for a brief overview of his life, go to the interactive story map below. Witold Pilecki was born in 1901 to a Polish family that had been exiled to Russia for their participation in the January Uprising of 1864. His youth fell to the restless times of war which were decisive for Poland’s existence. In 1914, he was too young to fight in World War I, so he joined the clandestine (forbidden by Russia) scout units which supported the Polish Army. During the Polish-Soviet War, he was old enough to be called up and fought as a member of a cavalry unit defending Grodno, and then taking part in the Battle of Warsaw as well as the liberation of Vilnius. In this closely won war, he was twice awarded the Cross of Valour for his gallantry. During the interwar years, his family managed to reclaim their demesne Sukurcze with its manor house and surrounding land. 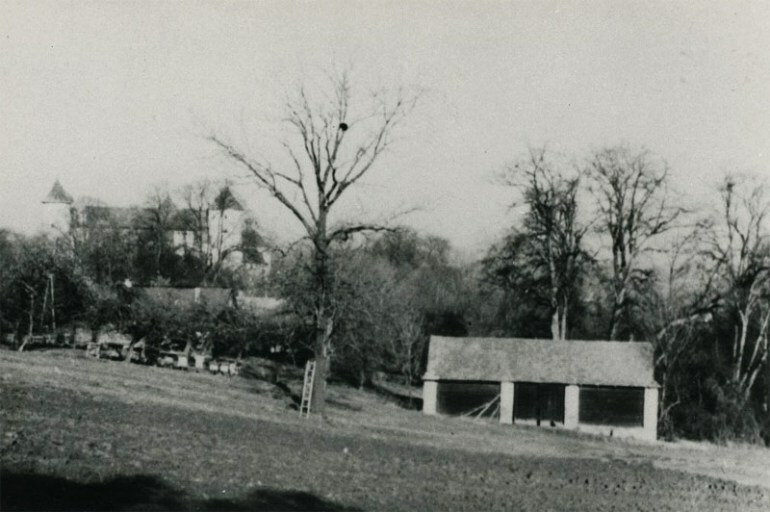 Having witnessed two wars, the property was in a miserable condition so Pilecki transferred to the reserves of the Polish army and put all his efforts into repairing as well as modernizing his neighbourhood and educating the local society. He got married and started a family. This bucolic tale, however, didn’t last long. On September 1st, 1939, Poland was invaded by Nazi Germany and on 17th September, Soviet Russia attacked from the east. The country again was in ultimate peril and Rittmeister Pilecki was called up again, and for the third time in his life he left everything to defend his homeland. Witold Pilecki took part in heavy fighting with German forces as commander of a cavalry platoon but even though his unit had some considerable successes the fight was doomed to failure from the very beginning. The Molotov-Ribbentrop Pact between Nazi Germany and Soviet Russia had decided the fate of Poland before the war had even started. It was all over on October 6th, 1939, and all the soldiers of the Polish army were officially demobilized. However, most of them fled to fight alongside the Allied forces or started forming clandestine military formations. Pilecki chose the latter. He was one of the founders of the Secret Polish Army (TAP, Tajna Armia Polska) and the main supporter of its union with other underground organisations which resulted in the foundation of the Home Army (AK, Armia Krajowa). Witold Pilecki was chosen from a group of several volunteers and was given the mission of infiltrating the camp, gathering information, organising secret resistance actions and working out the possibilities of liberating the camp. For this purpose, he changed his identity and was given the documents of another Polish soldier who was very much wanted by the German forces. This greatly increased the possibility of him being sent directly to Auschwitz once caught. With his new name, he deliberately let the Germans arrest him during one of the round-ups that often took place on the streets of Warsaw. Just like his superiors planned, he was immediately sent to Auschwitz and reached the camp two days later. This mission was insanely dangerous for two reasons. First of all, it was widely known that the Germans practised the rule of collective responsibility in all of their camps and prisons. For every attempt at a prison break, Nazis killed several times as many inmates in order to intimidate other prisoners and make every escape a very difficult decision from the moral point of view of those who dared to try it. Pilecki experienced this very quickly. At the moment he arrived on the train platform a Nazi guard ordered one of the prisoners to run towards the gate of the camp. The disoriented prisoner did as he was ordered and was immediately shot and accused of trying to get away. Right away, ten more prisoners were randomly selected and shot on the platform! Pilecki could have easily been one of them. Secondly, at least at the time when he was sent there, nobody had ever been released from Auschwitz, or left it alive in any other way. The odds that Pilecki would stay in the death camp until its liberation or his own death bordered on the certainty. Right after arriving at Auschwitz, Pilecki got down to work. He started the Union of Military Organisations (ZOW, Związek Organizacji Wojskowej), whose first task was to gather all smaller resistance movements and unite them to work under one command. The organisation was soon functional enough to be able to provide prisoners with some extra food, clothes, and snatches of information from the outside. They were then able to convey some information to the outside world and learned how to cheat on the Nazi registers so that a very limited number of escapees could pass unnoticed. A few weeks into his imprisonment in Auschwitz, Pilecki sent to his superiors the first report about the real purpose of the Auschwitz facilities. These were the very first intelligence data on the Holocaust to ever be gathered and confirmed. In March 1941, the information was sent by the Polish government-in-exile to Poland’s allies and from then on were the main source of intelligence on the genocide for the entire Allied forces. Despite his everyday duties, Pilecki and the other members of the command worked hard on a plan of liberating the camp that was to happen with the help of allied forces from outside. In 1943, the Nazis arrested and executed some of his closest collaborators and it became obvious that soon he might soon get caught as well. Moreover, the Auschwitz authorities, having realised that clandestine resistance movements were stronger than they had thought, decided to execute or send to other concentration camps most of the ‘old’ prisoners, i.e. those who had spent more than two years in the camp. Pilecki was constantly put on the list for execution or transport but only thanks to ZOW’s abilities he was always removed or postponed. Nevertheless, it soon became obvious that his days in Auschwitz were numbered and the Home Army gave him the order to escape. Pilecki's escape was possible because ZOW was able to move him and his two close friends to the bakers' commando (every work group in Auschwitz was called a commando), who worked on the outskirts of the camp. In addition, in early 1943 Nazi Germany had signed an agreement with the Red Cross that they would desist application of the rule of collective responsibility so the life of other inmates was no longer in danger because of Pilecki’s hypothetical evacuation. The action was planned and performed by the whole of the ZOW and was, miraculously, successful. Witold Pilecki escaped during the night of April 26th and 27th and, several days later, got to the Home Army's headquarters in Warsaw. He devoted the subsequent months to writing his reports on Auschwitz which included detailed information concerning gas chambers and daily death tolls, as well as on medical experiments performed on inmates by Nazi doctors. 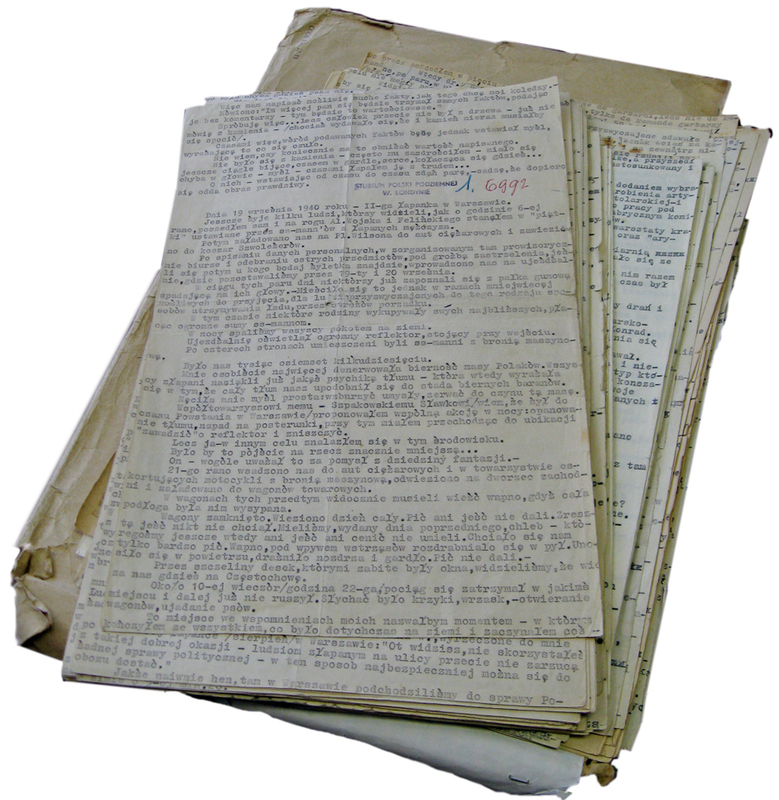 Pilecki’s report, known to historians as Witold’s Report, together with two other documents created by ex-prisoners, forms the Auschwitz Protocols – the complete and ultimately credible data on the biggest death camp in history. The version of the report from 1943 was presented to the British Army's command but they thought it was exaggerated and rejected the Home Army’s suggestion that the camp should be liberated as soon as possible. It was Pilecki who devised the plan to liberate the camp and recommended it to the Home Army, but after he was presented information about the positions of Nazi troops in the vicinity of the camp and the Allied forces' reluctance to take part in the operation he accepted the Home Army’s refusal. Nevertheless, the camp’s resistance was ready to start the uprising in case the Nazis decided to liquidate the camp or the Allied forces changed their mind and attempted an attack. How can present-day mankind claim to be an advanced culture, place itself above the past ages? Why do we dare to look into our ancestors' faces and claim our superiority, when it is during our times that armed forces destroy not only hostile armies but whole nations, innocent and vulnerable societies, with the application of the latest achievements of the technical revolution? The progress of civilization – Yes! But progress of culture? – Ridiculous! We are cornered, my dears, in the most horrifying way! I’m speechless… I wanted to call it beastliness but no! We are a hell of a lot worse than beasts! The biggest tragedy of Pilecki’s life was, however, yet to come. In 1944, the Warsaw Uprising broke out and Pilecki immediately got involved. As an officer, he was not allowed to fight as a regular soldier but he volunteered for one of the units without revealing his true identity. The developments of the uprising eventually saw him command a part of the area called The Great Bastion of Warsaw – a crucial point and site of the heaviest battles with the overwhelming forces of the German Army. After the capitulation of the uprising (which had lasted for 63 days), following the orders of the the Home Army, he went into captivity and was sent to prison camps in Łambinowice (Poland) and then Murnau (Germany). After the German capitulation and the liberation of his place of detention, Pilecki came back to Warsaw to continue his work for the Polish government-in-exile (the only one he believed legitimate), supplying them with information about the actions of the newly-imposed communist power and the overall situation in the country. The biggest issue for ex-Home Army soldiers was that the communist government treated them as villains and collaborators with ‘hostile imperialists’ (the communist name for the Allied forces). They were asked to reveal themselves and testify on their wartime activities. Many of them were persecuted and sentenced to prison indefinitely or to death. The whole of the Home Army’s high command was inveigled into coming to Soviet Russia and then arrested and sentenced to exile or long-term imprisonment in a show trial. In 1947, Pilecki was arrested in Warsaw and immediately brutally interrogated with torture, blackmail and all the worst means of getting information out of people known to mankind. He was accused of several things, mainly of espionage for foreign imperialists, cooperation with the army of the now-hated General W. Anders (head of the military of the Polish government-in-exile), preparing to assassinate prominent officials of the Ministry of Security, carrying illegal firearms and a few other minor things. His show trial lasted two months and resulted in Pilecki and his three comrades from the Home Army being sentenced to death. Pilecki and his fellows denied the accusations of planning assassinations, as well as of working for foreign intelligence services, although they admitted to passing information to the government-in-exile. Pilecki was executed only 15 days after the end of the trial (it usually took much longer) and his name was to be forgotten forever. Any publications concerning him or his family were blocked by the censors and authors of such would have serious legal troubles. To date, the place of his burial has not been yet discovered. So they didn't let anybody else off. I can't live any more after what they've done to me. Auschwitz was just a trifle. 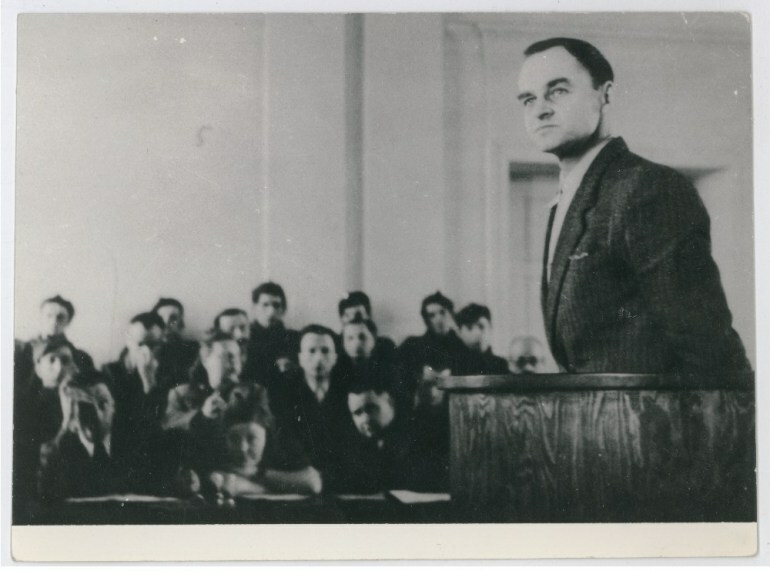 In 1990, when the new democratic government started to deal with the abuses of the previous regime, Pilecki and his comrades were rehabilitated. In 2006, he posthumously received the Order of the White Eagle – the highest Polish decoration. Author: Wojciech Oleksiak, November 5th, 2014. 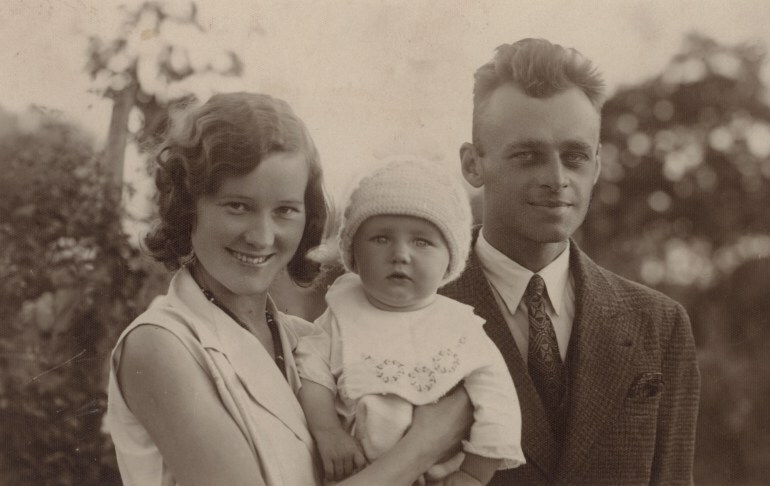 Sources: IPN, Polish Radio interview with Witold Pilecki's children, Ale Historia / Gazeta Wyborcza, Google Cultural Institute - Witold Pilecki, Witold's Report Blog and many others.